Although a launch elsewhere is still in up in the air, Apple Pay is continuously gaining ground in the US. 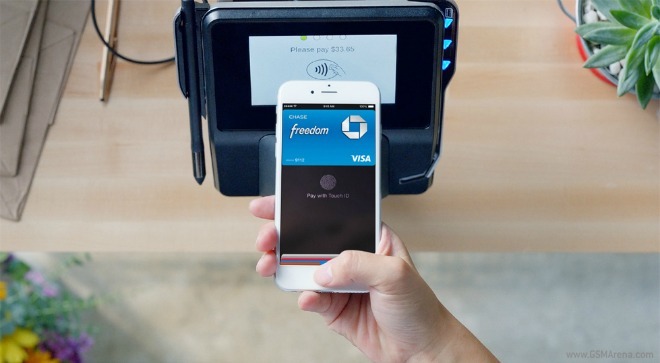 Apple’s payment system has now added 39 new banks and credit unions to its list of partners. This brings the total number of banking institutions that support Apple Pay to more than 180, which is pretty substantial. Apple has been constantly looking for new partners since it announced the service last year. Make sure to hit the Source link for the full list of banks added in this latest batch, as well as the entire list of 180+ financial institutions that support Apple Pay right now. Apple Pay currently works with the NFC chip inside the iPhone 6 and iPhone 6 Plus to enable secure transactions, in apps and online as well as in brick-and-mortar stores. The iPad Air 2 and iPad Mini 3 can only take advantage of its online capabilities. When it launches on April 24, the Apple Watch will also work with Apple Pay for in-store payments. If you buy an Apple Watch, you’ll be able to use Apple Pay for this purpose even if you own an iPhone 5S, iPhone 5C, or iPhone 5.